Can motorsports be too awesome? 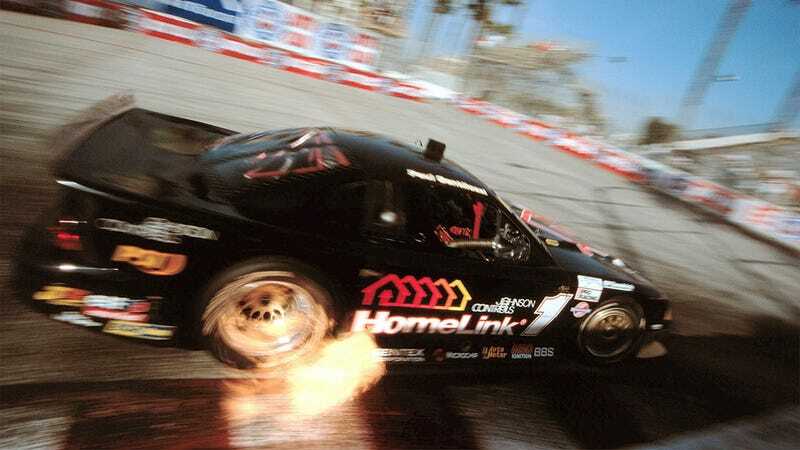 Jalopnik readers have found ten racing series that were so amazing, they had to be cancelled. Why it failed: Set up by the SCCA in 1966, Trans-Am let US manufacturers throw all their pony cars against each other on the finest road courses in North America. The series dropped off in the 1970s and picked up again in the ‘80s with big tube-framed specials. In the ‘90s, more manufacturers moved in, costs ballooned, and everyone ended up moving out for the better-recognized endurance racing going on in Europe and then in the American Le Mans Series. Though Trans-Am is still running, the SCCA World Challenge currently carries the torch for production-based road racing here in the States. What we learned: Give viewers something they can't get elsewhere. In the ‘60s, there was one place to watch Mustangs and Camaros and Javelins duke it out. The cars in the late ‘90s and 2000s were better raced in other championships. Why it failed: The idea was to have identical open-wheel cars, but instead of organizing the cars by private or factory teams, they'd be organized by country. It would be a World Cup of F1 but the series only ran from 2005 through 2009. The racing wasn't bad at all, but A1 GP never caught on where F1 was already popular, and it never made inroads in the US, either. Management squandered its money on an already hard sell and the whole thing withered and died. What we learned: If you're going to compete with F1, your series has to be almost impossibly brilliant in design and execution. Why it failed: The International Race of Champions was an invitational, bringing the best drivers in the world to compete in a bunch of Porsche 911 RSRs. It was wonderful to see different drivers from different series competing in the same cars, but when IROC switched to Nascar-spec cars and started running on Nascar tracks, Nascar drivers took over the whole show and the series became pointless. What we learned: Now the ROC, or Race of Champions, is held indoors with a variety of different cars, and it's quite successful. What you need to do is allow an even playing field for the competitors, or else the invitational will just die. Why it failed: Back in the late ‘70s, BMW had a bunch of M1 racecars ineligible for endurance racing and they needed something to do with them. They called up Formula One and ran the cars as a kind of appetizer for F1 races. The cars were cool and top drivers got to compete in identical cars, like in IROC, but after a few years, the cars got stale and no one else stepped up to provide a quality replacement. Ecclestone tried again in ‘88 with F1-powered specials, but only one Alfa Romeo was built. What we learned: One-make series still support F1 today, like the Porsche Cup racing just before F1 in Montreal. The concept is good, you just need stable manufacturer support to make it work. Why it failed: It was desert racing, but put indoors. It ran from the end of the ‘70s through the early ‘90s when the series went bankrupt. The series survived its founder's death in '88, but only for so long. What we learned: When you run a series with a single supreme leader, it's a challenge when he dies. We're looking at you, Bernie Ecclestone. At least indoor baja racing is coming back. Why it failed: After the awesome cars but boring racing Group 5, the world championship for endurance racing created a new category that was technologically advanced, with turbo engines, mandated fuel efficiency, and cutting edge aerodynamics called Group C. Everything seemed to be going right, with more major manufacturers competing for top honors than ever before: Porsche, Lancia, Jaguar, Aston Martin, Toyota, Mazda, Mercedes, and Peugeot. Somehow, viewership of the races plummeted anyway and the whole thing was killed off to favor F1 in the early ‘90s. What we learned: You can do everything right when you build a racing series and it can still fail on you. Why it failed: Instead of using high-strung and expensive F1 engines, Formula 500 used five-liter, cheap, powerful V8s. It started off in 1968, but petered out over the late ‘70s as costs rose. The US lost interest while cheaper F1 cars took over the formula in Europe. What we learned: Maintain your advantage; if you're going to build a series around cheap speed, make sure it stays cheap. Why it failed: CART was everything we want in American open-wheeled racing. Different chassis, different engines, advanced technology, and great competition on road courses and ovals. One man, Tony George, basically shut the whole thing down as he wanted things his way and he owned the Indianapolis Motor Speedway. He made his own series, IRL, and cut CART off from Indy, which was enough to sap all the funding from CART, leaving it to atrophy. IndyCar now runs spec chassis and is a lot less interesting thanks to this epic mid-‘90s CART-IRL battle. What we learned: This kind of split has nearly happened in F1 a couple of times, but Bernie has ruled his series with an iron fist. Maintain absolute control when there's a big budget racing series at hand. Why it failed: Can-Am was one of the few instances when a start up racing series really worked, at least for a while. In the ‘60s and ‘70s, Can-Am offered drivers huge prizes and manufacturers nearly unrestricted regulations to come racing in the US. What we got was some of the best racing and racecars the world has seen. The problem was that the teams got too successful for their own good, with McLaren and then Porsche outspending all of the small, innovative teams. What we learned: In racing you can be a victim of your own success. It is possible for a single manufacturer to dominate your series until it's not fun to watch anymore. Why it failed: Like Can-Am, Group B was a largely unrestricted race series, only in rallying. It offered pretty much everything a fan could want: a number of popular manufacturers building highly advanced but production-based race cars, fantastic back-and-forth competition, and spectacular racing, cutting through the countryside all across Europe. What we learned: After a number of violent and tragic deaths, the series was cancelled in 1986. It showed that cars can be too fast, and that in modern motorsports, you can't compromise on safety.